My partner at the time, a therapist, had arrived long before me, and developed a strong affinity with the work of the center – its compassionate approach to treating addicts, its commitment to the study of the native, traditional medicine of the rainforest, and the unique character of its founders, the doctors Jacques Mabit and Rosa Giove. When I had joined her there, she was working as a therapist in the ample, tree shaded grounds of the center, doing her dissertation research, and soaking up the accumulated knowledge of traditional plant medicines and shamanic techniques utilized at Takiwasi to heal. We rented a rustic, but very cargado (i.e., spirit-filled), house, around the corner from Takiwasi for a hundred bucks a month. We slept on borrowed mattresses, cooked on a borrowed stovetop, and invested in a few pots and spoons. We were on pilgrimage, then. When we left the center, we simply put all our accumulated possessions in the back of a pickup truck and drove into the entrance at Takiwasi, where we gave them away to the staff. Even then, Tarapoto could be loud. Very loud. Both with the chainsaw grind of the constant motocars (rickshaws drawn by motorcycles) and the blasting of the rhythms of Peruvian dance music late into the night. Peruvians seem to live by the motto, “I make noise, therefore, I am.” But no taste for silence appears to develop in them with age (We have observed this conditioning to extreme noise begins very early in this culture, and have the theory Peruvians in the jungle towns are, if not physically, psychologically deaf). Yet all these factors, and a hundred other details which we had thought we knew about the mestizo (“mixed blood,” i.e. European/indigenous) culture of Tarapoto, were sadly out of date upon our return in 2012. On the economic front alone, the Peruvian economy had gone through a boom since our last stay. Prices were far higher, and the dollar traded for substantially less. As well, in arriving with our three-year-old daughter with the intention of staying – involving schooling, decent housing, local community and friends, language issues, reckoning with local diseases such as parasites, etc. – we were no longer pilgrims, skimming lightly over the landscape. We had become immigrants, putting down roots. The cultural honeymoon in Tarapoto was short lived, therefore. Upon returning from a two-week journey to the center of an Ashaninkan shaman, an immersion into the rainforest with all the dropping of the defenses of the body and mind such work brings, I was deeply challenged upon stepping out of the rainforest: my partner was required to make an emergency trip to Chile to care for her family, and my daughter and I had to solo it in Tarapoto, shifting from one hotel to another. The timing could not have been better to experience the extremes of culture shock. Tarapoto was celebrating its anniversary. Like an earth-shaking bombardment, a week of beer-sodden, music blasting parties began, lasting into the early hours of the morning. My daughter and I, living in a tiny bungalow on the edge of the town, passed evening after evening in a surreal cacophony. A war against the air. As well, my daughter had been mauled by insects during our time in the rainforest, and tossed and turned scratching all night as I applied lotions and tried to catch some sleep. Finally, there was the dengue epidemic. One day we watched a parade of school children following a slow ambulance. It was scary. We were vulnerable. Finally, a knocking on my door came one evening just as I had laid my daughter down to sleep with her bottle. “They are here to spray against the spread of dengue,” I was told by the worried owner of the hostal. Men with backpacks full of chemical pesticides were roaming the streets and entering homes with blowers, filling the night with toxins against the mosquito population. There had been no advance notice, no opportunity to plan to escape from the fumes. Without even a chance to dress my daughter, I rushed her into the crowded streets like a refugee. It was my way of keeping heart. After the purity of the rainforest, in the midst of a total recalibration of my senses to a mestizo culture of Tarapoto, I hit bottom. Choking on pollution and noise and plastic and scattered beer bottle caps littering the streets, I knew where I was on the anthropologist’s map. After all, I had just taught that very subject at a private university in the U.S. I was moving though the phase of acculturation where the honeymoon of fresh, new impressions ends, and the trapdoor of reality opens beneath your feet. When my partner returned a week later with her own saga, she found me badly frazzled and my daughter distressed. We had lost ground. Then the hardest of what I called the “Tarapoto Mestizo Blues” began to pass. We found a house, on the outskirts of town (what the motorcar drivers call “la jungla,”) and moved into its cavernous spaciousness and began luxuriating in the sound of authentic quiet – the chirping of birds in trees. Monkeys even clambered through the open grounds. My partner’s work at Takiwasi also flowed into a productive channel as she engaged in individual therapy with patients and supervised the therapeutic team. She took up her research into the vegetalista tradition anew, especially into the psychodynamic effects of other plants used in dietas and purgas there. It still goes generally unacknowledged among Westerners that ayahuasca is only one medicinal plant among many in the vegetalista tradition, where each plant has its own character, or signature, and works on the human psyche/body in a unique way. The healing effects of plants such as chiric sanango, azucena, rosa sisa, tobacco, tamamuri, came renaco, and many others remain to be understood. I began leading meditation in the exquisite Zen Buddhist dojo which Takiwasi, in a gesture of true ecumenicism, built some time ago. The patients took to the practice with gusto, and began requesting more focused instruction. As well, I had also begun doing another kind of sitting along with patients — purgas and ceremonies with ayahuasca – and that is where this story begins. I had begun toying with the idea of a work of fantasy, an alternative history where the first European immigrants to encounter the Amerindians were not Spanish conquistadors but instead Celts fleeing the Anglo-Saxon invasions of the British Isles. Feeling that the pre-Christian Celts and the pre-Colombian peoples of the Amazon rainforest and the Andes mountains shared a kind of worldview, I reckoned a Celtic invasion would not have led to genocide, but rather to an accommodation and eventual creative fusion of the two cultures – I wanted to explore what that synthesis would have looked like a generation after the landing of the Celts out of the East, using an old tale about a King, a Servant, and a White Snake to do so. Yet I needed a place to work. I contacted a friend of mine, Andres, a member of the cultural aristocracy of Lima, who thought about it and said, “You know, Robert, I think Chavín de Huántar might be a good place for you to go.” Curious, I went online and found the sparse images and encyclopedic entries on the site: A ceremonial complex at 10,425 feet above sea level, located at the confluence of the Mosna and Wacheksa rivers, at the geological and cultural crossroads between the mountains, jungle, and sea, Chavín had flourished as a sacred site for 500 years (800-300 BCE). Its light had been eclipsed long before the rise of the Incan empire. Its art, carved in stone, was shocking, outlandish, as if from an alien civilization. I had no idea what to make of it. Nor, outside of a couple of visits to Cuzco to walk its colonial streets and visit the shattered remnants of the Incan empire, had I had much contact with the traditions of the Andes. My knowledge of the lore and practices of jungle shamanism was respectable, but my understanding of the time depths upon which that world floated like flotsam and jetsam was scant. Scattered, persecuted, competitive, tending to witchcraft and charlatanism, vegetalista shamans were survivors, inheritors of rich seams of cultural traditions transmitted during the brazen thuggery, enslavement, murder, and dislocation of the previous century’s rubber boom. As far as I knew, there was no Mecca, no Jerusalem, no Eleusis, to which pilgrimage had once been made, nor could now be made. That sacred locale, the axis mundi of the pre-Colombian peoples, had once existed, however, and my friend had pointed the way to me. A couple of nights later the path opened in ayahuasca ceremony at Takiwasi. Well-launched into the visionary sea of the vine of spirits, I was called forward by the Colombian taita who was co-leading the work that evening. Sitting before him, I felt his song over me like pelting rain, and then was surprised when the curandero spread his arms like a hawk, and, gathering in the wind, blew it into me in a single burst. 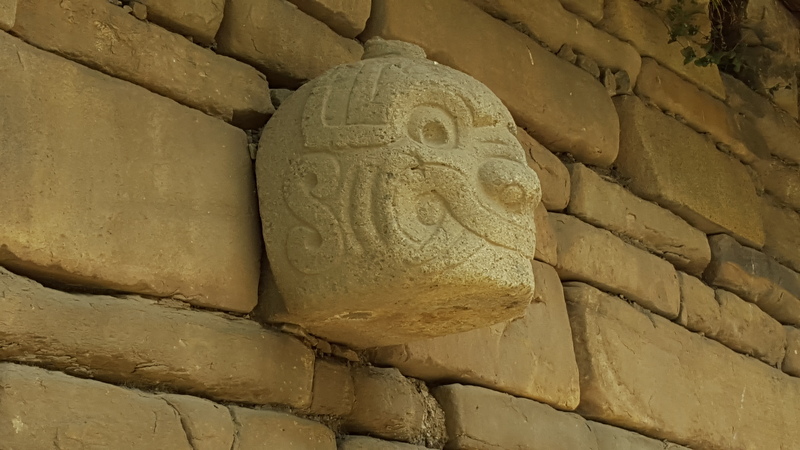 At that very instant, I saw the huaca, the serpent-festooned, great-eyed figure with a crocodile’s grin in the heart of the labyrinth of Chavín , and knew I was called upon to make my pilgrimage there. The town of Chavín, with its colonial square, church, and mercado where the indigenous tongue of Quechua mixes with Spanish, lies adjacent to the archaeological site of Chavín de Huántar, like a housecat beside a sleeping jaguar. I settled in at one of the little hotels popular with archaeologists during their work season. Unaccustomed as I was to the Andes, the uncanny resemblance of the people, the rarified air and light, the valley walls and snow-capped mountains, the stench of urine and stale beer, and other less tangible resemblances to the Himalayan region kept playing tricks on my memory. Stepping out onto the sidewalk in the morning, I kept finding myself in Nepal. At first sight, the temple was something of an anti-climax. 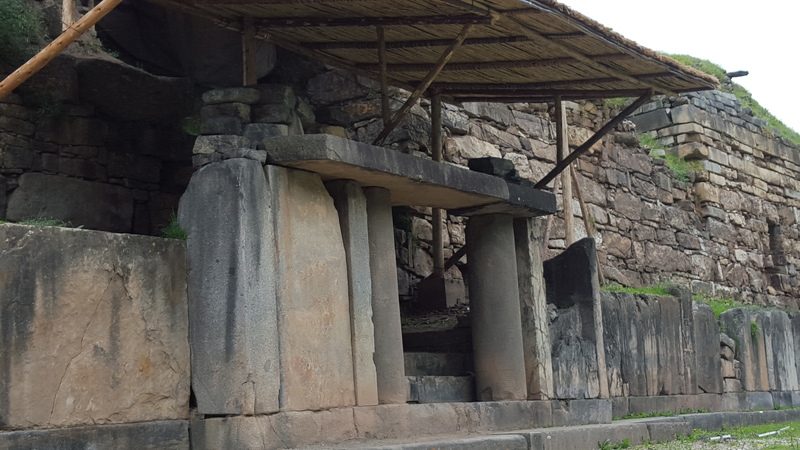 Accustomed to the evocative romance of archaeological sites like Machu Picchu in the Sacred Valley, the temple had the air of an ancient warehouse stripped of its goods. Wandering into its square “plaza,” still perfectly framed by its low walls and megalithic stones of black granite, I beheld the lineaments of the temple, partly collapsed, as an evocative rubble quarry. Puzzled, solitary, and alone, I crossed the expanse, climbed the stairs out of the sunken court, and ascended to the cold stone. At the center of the massive structure stands a great portal, framed by two columns carved with anthropomorphized, staff bearing birds of prey. Like an Escher painting, their geometrical realization struck my untutored eye as both wildly psychedelic and profoundly sophisticated. The temple loomed above me like an alien obelisk, even in the warm sunshine that bathed the verdant green fields of the site. Yet, there was no ominous, contained threat in it. It was simply a puzzle. Ascending further, I passed the roped off Circular Plaza and, climbing the fragments of a flight of stairs, arrived at the entrance to the huaca, the “deity” of the ceremonial complex, a fifteen-foot tall carving in granite of a figure surpassing description. For me, it was like seeing something out of a nightmare. Logically, I couldn’t say why it had such a profound effect. Certainly, the Lanzon’s face with its fangs and strange hybrid expression was eerie, but my reaction was totally unexpected and completely nonrational. The only way I can describe what it was to sit there in front of it is that looking at it was like trying to stare directly into the sun. Kneeling there, I had the sense that if I were to spend too much time with it, something inside me might be obliterated, collapse from the power of it. An eclipse of the soul might occur that would be too much for my psyche to handle. I had no such epiphany on my first visit. Making my way down the well-worn stone steps into the Old Temple was like descending into an ancient barrow – a musty inertness, the fug of exhaling earth, the silence of chambers. Gazing down one passageway after another, I caught sight of an illuminated statue at the end of one, and picking my way the length of the narrow, low tunnel, arrived before the huaca, nicknamed the Lanzón for its resemblance to a spearhead. I gazed upon it in profound incomprehension: a perfect duh. I saw neither menace nor benediction. All I saw was an inexplicable megalithic figure, alien and remote as the surface of the moon. Eventually I got up and stumbled out. Wandering the streets of the town of Chavín that evening, I glanced into a family tienda from which light spilled out onto the dark, cobblestone road and saw a table covered with local artesanía – fine miniature reproductions of the temple art carved in stone. Stepping forward to purchase a stylized jaguar-head, it occurred to me to inquire for a guide that my friend from Lima had recommended, an elusive figure named Esteban. They smiled, said, “Of course,” and dialed their phone. Within a minute, the diminutive, muscular figure of Esteban stood framed in the doorway. Of African and indigenous descent, Esteban was a talented artist and a raconteur. The following day he took me upon a rambling tour, narrating the history of the temple. A meeting ground for the spiritual traditions of the Amazon rainforest and the Andes mountains, Chavín’s iconography is dominated by four figures: the jaguar, the harpy eagle, the crocodile, and the anaconda. Four powerful animals whose provenance lay far away in the rainforest to the East, yet whose visionary presence migrated to the heart of the temple. As Esteban guided me through the underground labyrinth, grunting and chuckling like a jaguar in the darker, roped off areas, a sense of topography began to form for me. When Esteban introduced me to the “wachuma shaman,” a human figure with a serpent headdress and distinct jaguar fangs protruding from his mouth and clawed hands and feet, I was hooked. I had been under the lingering misapprehension that shamanism, such as I had experienced it practiced among the vegetalista shamans, was an exclusively semi-nomadic, hunter-gatherer tradition that faded into obscurity once the hierarchies of priesthoods, governance, agriculture, etc. emerged with the coming of civilization. Yet here was something remarkable: a high civilization, geography far-reaching, enduring for centuries, which, according to archaeological evidence, eschewed warfare, blood sacrifices, and political coercion. Indeed, if the archaeologists are correct, within the region of the “Chavín-complex” there was peace for hundreds of years. Chavín had an enviably highly functioning cosmology. And, at the heart of this realm, was a vigorous practice of shamanism. By the time Esteban walked me over to a massive standing grove of wachuma cactus and introduced me to one of the visionary plant medicines that had informed the spirituality of the temple, I knew I would need to commune with it to understand something of the inner life of the temple. To ingest a “hallucinogen” is a grave undertaking. Understood by native peoples throughout the world as divine gifts, entheogenic plants open up a blissful and fearful prospect, and entering with the vigor of a wild serpent into our frail human constitution they can define who we are in ways beyond our ken. It is no small matter to drink preparations of these plants, to undergo the awakening they offer. For Westerners, the experience of intimacy created by these plants, the enchanting, all-subsuming “Secondary world” (as Tolkien described encounters with the realm of Faerie) encountered within them, can also be psychologically derailing. Of such potency and beauty are the visions, it is all too easy to subscribe a status of “Primary world” to them and start seeing the ordinary world as a shadow of the spiritual realm. There is also the ever-present danger of psychological damage and abuse – as is now commonly reported within the world of drive-by (and occasional hit-and-run) ayahuasca shamanism, where participants in ceremonies can find themselves trapped in very serious breakdowns once the “shaman” has disappeared over the horizon and can no longer offer any assistance – if he or she ever could. In short, a ceremony utilizing a sacred plant, like heart surgery, is dangerous. And like heart surgery, such interventions into our deep selves require great skill on the part of the leader. During our years of residence in the Amazon, we had become rather discriminating towards the shamans under whose guidance we took traditional medicines, inquiring about their lineages, their years of experience and reputation among the native communities, the purity of their brews, etc. Esteban, as is usual for such guides, knew a local wachumero, who, he said, prepared an excellent brew and could lead us in ceremony in the temple. My guide spoke with the oratorical flourishes and smiling assurances which have accompanied traveling medicine shows for centuries, yet despite his jaguar chucklings I liked Esteban and agreed to meet the shaman, called “Jack,” the next day. Instead of the local Andean shaman with a wide-brimmed hat and sandals, Jack turned out to be a gringo wearing jeans, hiking boots, and a baseball cap. As he shook my hand and introduced his Peruvian partner, Yngrid, he spoke with a mid-Western twang and seemed a character more likely to be met at a truck stop than at an ancient ceremonial site in the Andes. After a brief chat, we clambered into his 4-wheel drive pickup truck, crossed the bridge under which the Mosna river travels through the heart of modern Chavín’s mercado, and drove a short distance back into the valley. There we descended to the land Jack had acquired directly opposite the temple compound, separated only by the river which runs vigorous and cold down from the melting snowcaps above. It was a good place to do ceremony. Rounded by blossoming San Pedro cacti (as wachuma is called in Spanish), an altar stone and fire pit was set in the middle with a circular maze of stone leading to it clockwise. Little chozas, or huts for sleeping, were set back up the slope. There was a covered eating area, and as we descended the meticulously laid stone steps the local workers, who Jack introduced by name, walked up and shook my hand in welcome. Jack pointed out some truly megalithic, carved stones set up the hillside which, when we climbed to them, were clearly part of the original temple construction, carved and set perfectly aligned to the geometry of the compound across the river. I realized that beneath our feet there was likely a lattice of temple construction about which nothing was known, with these two surviving stones the jagged remnants protruding above the earth. This was especially likely since Andean peoples, rather than dismantle their sacred places, would bury them as offerings to Pachamama. “Would you believe the farmer that I bought this land from pulled down one of the stones that was part of this alignment?” asked Jack. “He said it got in the way of his grazing sheep.” Seeing the righteous indignation in his eyes, I realized that Jack, far more than the archaeologists who have been steadily draining Chavín of its riches for over a century, was deeply committed to the preservation and restoration of the temple’s original integrity. This was good. I chose to join him and the small group of other “pilgrims” from afar in the ceremony the following day. Midmorning a small group of us gathered and opened the ceremony with conches sounded to the four directions, gathered around the altar, and drank the wachuma medicine. Jack’s preparation was thick as a milkshake, and not as bitter as other native medicines I have drunk. We then loaded up and drove back across the river to the archaeological site, where we purchased our tickets from the guards and entered. Finding our way down to the opposite bank of the river from where we had begun, we spread out and sat either quietly chatting or alone among the trees. Unlike Esteban, who affected the mannerisms of a jaguar shaman, Jack spoke intently about the spiritual dimensions of the temple, the portals to be encountered within it, its cosmic function in the seen and unseen worlds. I listened to his metaphysics, only half-attending, as the world began to take on another hue and my breath to begin transpiring with the trees and river. I was also nauseous, and had to lie on my back staring into the deepening blue sky and hope the dizziness would pass. What followed involved such an intensification of consciousness that ordinary narrative ceases around the moment I got up and began to walk the path to the great sunken square plaza lying before the New Temple. As I crested the hill and descended the precisely cut, massive granite stairs now warm in the sunshine, my awareness began to tele and micro scope. Time sped on, lurched drunkenly. or hung serenely suspended. At the same time, my habitual waking orientation, all that wearisome analysis, measurement, and surveillance which so clogs up awareness receded, as if that little figment, that insignificant knot of neural activity that sustains the illusion of an external, objective world “out there,” crashed. My habit of self, in short, went off-line. Who was I, then? That was the fear and the adventure I now faced, gazing in awe upon this terrible place, Chavín de Huántar. Where was I? Whose dream was I? This is fantastic! I thought, gleefully rubbing my hands together. Or at least I would have, if I could have thought at all. Instead, I sat upon the ancient stones in a deep muse. I knew something momentous was at hand, that I had come to Chavín for whatever this birth was I was about to undergo. Other participants in the ceremony moved around me. I chatted with them with the surface of my mind. I performed feats of ratiocination. Meanwhile, the temple pounded upon my deeper awareness even more powerfully than the Andean sun above upon my wisp of a body. There is, believe it or not, a handy little map that can be consulted for the stages of the journey that I was undergoing and still had to undergo on that day. It’s helpful to locate yourself on a map, because, of course, it’s encouraging to know you aren’t crazy and that, in fact, you are following in the footsteps of your ancestors. As well, this map validates a certain social function for shamanic states, but more on that later. This map occurs in The Mind in the Cave, where cognitive archaeologist David Lewis-Williams offers a neurophysiological model for the process of entering that “mental vortex that leads to the experiences and hallucinations of deep trance,” that he claims was psychologically indistinguishable for Upper Paleolithic people from their actual entrance into “the subterranean passages and chambers . . . the ‘entrails’ of the nether world” of the prehistoric painted caves. What, then, is this hardwiring we all share? 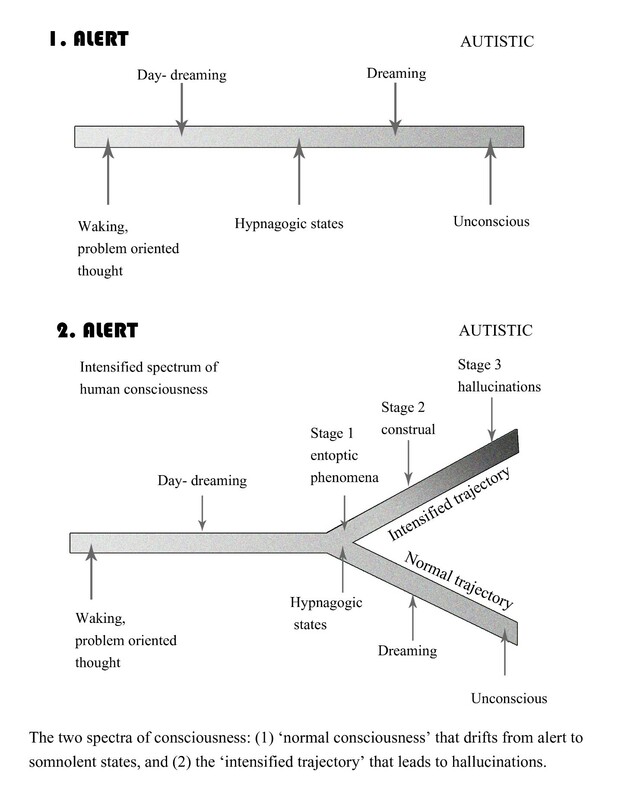 According to Lewis Williams, the ordinary spectrum of consciousness of Homo sapiens ranges from a waking, problem-solving orientation to dream and beyond the edge of the psychic world, unconsciousness, as expressed graphically in this figure. 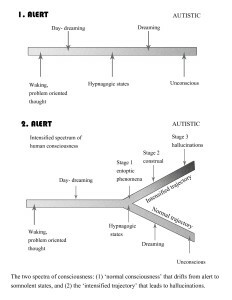 As we can see from Lewis-Williams’s schema, our ordinary experience of consciousness ranges from waking, problem-solving (most likely the state you are in right now as you read this) to daydreaming, dream imagery, the dreams of sleep, and then deep unconsciousness. Imagine, however, what it would be like to dream while being fully awake. This stage of construal is normally rather brief, a final preparatory moment before the leap into what Lewis-Williams, with his Cartesian worldview, characterizes as “hallucinations,” but the rest of Humanity has and continues to understand as visionary and hold to be of the greatest worth. According to Lewis-Williams, in this third stage of the unfolding visionary state, “Many people experience a whirling vortex or rotating tunnel that seems to surround them and draw them into its depths” and are drawn into full intra-action with the worlds that lie beyond the range of our ordinary consciousness. Eventually, my mind began to move out of construal and I began to see. This seeing was with an inner eye, the one I suppose the Huichol shaman was describing as the doorway that opens at the time of death. It wasn’t that the features of the landscape around me changed in their form. The llamas grazing on the hillside were still llamas, the valley walls rising high above us were still perfectly valley walls, and the rest of the buzzing world continued with its colorful, precise multiplicity. No trouble there. What changed was the depth. The frontier between life and death was down and when I walked I seemed to penetrate realms. I knew I knew where I was now, and it was time for me to go and discover what it was I already knew. I approached Jack, who in his sunglasses and black Gore-Tex jacket had the aspect of an astronaut, and told him I would like to depart from the group and move up higher into the temple. He studied me and then sent me onwards. It was fortunate for me that no busloads of tourists had yet been disgorged at the site that day. I had the way up to the Portal of the Falcons to myself, and as I slowly ascended the curving path towards the looming walls of cut granite above, I was aware of the millennia-old stream of pilgrims flowing around and through me. By the time I placed my foot upon the final step up to the New Temple (carved, in the playful spirit of medieval cathedrals, with two serpents), I felt overwhelmed by a pounding wave of energy, titanic and sacred, coursing through the pillar and lintel construction of the Portal. I walked into it as into a mighty river, and fell onto my knees before the carvings of this ancient world and wept. I had come home. I knew this place in the deepest recesses of my soul. After – could it be centuries? – of transmigration, of barely surviving this lifetime’s experience as a street kid and prisoner in the urban United States, I had returned. An embrace engulfed me, a gratitude welled up in me, and I knelt, clutching my prayer beads, holding on as the dawning revelation crashed over me: I was known and loved in this place. The temple, I realized, was no archaeological ruin. It was a sacred abode. When I finally stood up, it was with the posture of a beloved son. Of course, even in the midst of the visionary experience, I was aware of how remarkable it all was. My work with medicines such as ayahuasca and peyote in traditional contexts down through the years had strongly tempered my naivete and bright faith – and developed my ability to discern within the intensified trajectory of consciousness. Not only had I known in myself and others profound healing of both psychological trauma and physical disease utilizing shamanic trance, but I had also gotten a navigator’s sense of how to move through the deeper, perilous waters of the psyche and distinguish reality from figment and even downright mischievous trickery — or worse. This was no trickery, no light show. In fact, strictly speaking, there had been no visual “hallucinations” at all, but rather what pre-historian Jean Clottes describes as “permeable consciousness.” Nor was it “Unconditional Love” or a narcissistic regression to uterine existence. The time depth, the sense of awakening memory, the power of the catharsis, all strongly suggested that my vision was an ancestral, indigenous one. In short, it was a very clean burn – and it began to open my eyes to the inner workings of the temple. After making full prostrations in the verdant green grass before the Portal, I shouldered my bag and prepared to move higher up into further unexplored regions. I glanced below. The pilgrims were just beginning to gather to leave the Plaza. Turning away, I clambered up like a mountain goat, eager to continue my solo communion with the temple. Rounding the sharp edge of the New Temple, I climbed past the roped off circular plaza where in the oldest spiritual strata of the site, before the creation of the New Temple with its baroque visionary art, pilgrims and suppliants had gathered and danced before ascending to the huaca or had received benediction from the temple priests who emerged from within the Old Temple. My feet then carried me to the entrance to the labyrinth, the many-chambered three-thousand-year-old Old Temple, wherein resided the huaca that had so unsettled anthropologist Hillary Webb. I greeted the guards, who lounged about the entrance, and requested permission to enter. 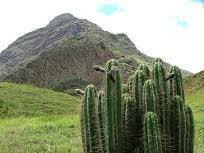 With the natural kindness of Andean people, they welcomed me and gestured to threshold. With a tingling sensation, I carefully descended the stairs, placing my hands upon the stone protrusions worn smooth by the passage of generations, and set foot upon a landscape as strange and silent as the lunar surface. I had forgotten about the huaca in my absorption in the moment, and so it wasn’t with my thinking self but my heightened senses that I bumped into it. Catching sight of something unaccountable at the end of a passageway, I crouched like a cat, all my senses on alert. I began to stalk, every nerve aquiver, towards this inexplicable being grinning at me out of the darkness, my eyes, I reckon, gone predatory – thought rejected as too slow and clumsy for this contingency. Yet, reason did eventually dawn on me. I was gazing upon the huaca, I realized, lit as if by a light spilling in from an opening in the temple ceiling above. As I approached nearer my wariness lessened and sheer wonder dawned. I was gazing into a face of extraordinary, benevolent love. My legs gave way before it, and I sat gazing into the carven image’s oceanic expression – crocodile grin, fangs, serpents, jaguar heads – the whole cacophony of beings intertwined within the carving – and saw unworldly compassion and wisdom embodied there, the workings of its mind the heavens itself. Eventually, conclusions began to form. I was not gazing upon a sculpture, a representation of something in the modern way of conceiving of representational art. This was the being itself, not a carbon copy. The veils had been torn from my eyes before the Portal of the Falcons, and I was beholding the deity of Chavín that was said to have come from the stars and whose presence had brought hundreds of years of peace upon the land. It takes a sense of humor and bemused acceptance for a simultaneous plurality of utterly contradictory worldviews to tolerate this sort of stuff, experience that contradicted every particle of received wisdom of my own culture and, indeed, is violently condemned by my own religious background. Fortunately, my gratitude and wonder, my sense of engulfing love, far surpassed the consternation that might have arisen. I sat bathing in that opening into timeless apprehension that I was given that day. When I finally emerged from the labyrinth, the group was gathered in the foyer, courteously awaiting my emergence before entering themselves. Esteban warbled upon a bone flute. Seeing a conch sitting at his side, I asked if I might sound it. He handed it to me, smiling. Walking to the edge of the stone platform, gazing out into the valley, I leaned out and blew the conch. The valley walls formed a perfect amphitheater, and the sound echoed back, resonating through all the land, welling up rich and intimate as joy itself. 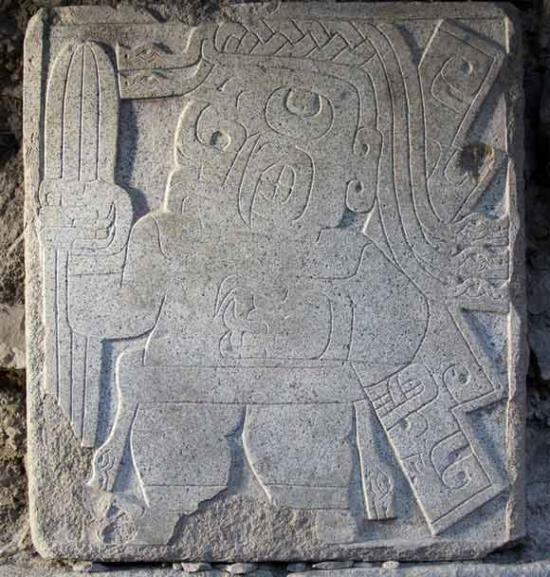 That afternoon I came to know Chavín informed by the consciousness of wachuma, growing accustomed to wearing wachuma-tinted glasses, as it were. I became able to discern more and more specificity of detail within the temple, and in one wonderstruck moment stood before a section of wall in the New Temple, my hand upon the stones, utterly convinced that I had participated in laying that wall in a bygone age: I knew the texture of those rocks with the same intimacy as I knew the fretwork upon my guitar. Our revels now are ended. These our actors, as I foretold you, are melted into air, into thin air. The practice of archaeology, as in all other sciences, is as much about seeing as is the practice of shamanism. Europeans knew about the Paleolithic temple caves for centuries before recognizing their actual time depth and inestimable cultural worth. Yet saddled with a worldview that disallowed the existence of human culture before 4004 BCE (that is, the date of Bishop Ussher’s calculation for the creation of the world), visitors to the caves simply could not perceive the vast antiquity of the iconography from 25,000 years before. The graffiti they scrawled upon the walls testifies to this. It wasn’t until European science had tentatively begun to establish the hoary time depths of the geological processes of the Earth that the possibility of evolution, fossil records, and human culture of anything other than superficial depth could be perceived. As I gradually accustomed myself to seeing through the worldview of the pre-Colombian high cultures of the Andes, I began to perceive features in archaeological sites that I previously hadn’t been able to see at all. 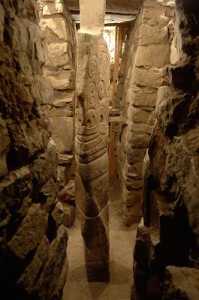 At Ollantaytambo, for example, after ascending to the Sun Temple I found that the features of the severely defaced jaguars carved upon the Wall of the Six Monoliths were far clearer, lying just beneath the scars left by Spanish vandals. Yet, the revelation of the deep past is a cat and mouse game, our unseen inheritance a plaything in the hands of the industrial forces unleashed upon Peru. Arrested in my movement, I halted and looked. Across the road was a boulder, one that I and the other workers at Takiwasi passed by every day and which had never excited comment, yet this evening it seemed to fairly shout out at me. As I walked towards it across the road, I was electrified to see the faintest, yet perfectly discernable, lineaments of a jaguar head. I stood before it musing when my local mestizo friend pulled up, a Tarapotino who had never drunk ayahuasca in his life. I asked him, “Do you see a jaguar head in this stone?” and pointed to the rock. “Yup,” he said, nodding his head, conviction written all over his features. I lay up until the early morning, turning over and over the implications of my “discovery” – should it turn out to be something other than an insubstantial pageant faded by the morning. Archaeological remains are few in the San Martin region of Peru, and there is no evidence for or memory of megalithic cultures that carved in stone, not in that region of the high Amazon. Was it reliably, physically real with a historical “aura,” or had I seen a spirit, a protector of the grounds of Takiwasi? The next day, I avoided the stone. I wanted to digest the experience and was, moreover, afraid that when I approached it again my vision would turn out to be a “hallucination.” After all, a couple of days wouldn’t matter if the stone had sat there for centuries. I was wrong. A couple of days later I could not find the stone in its usual setting. My pulse quickening, I cast about and spotted it turned upside down in a ditch, all vestiges of the jaguar head vanished from sight. A vehicle, no doubt a huge truck, had dislodged it from its position. Whatever glimpse I may have been given of an unknown pre-Colombian people had dissolved, leaving not a rack behind. Next PostNext Sacred Soil: Biochar and the Regeneration of the Earth, Is Now in Bookstores!